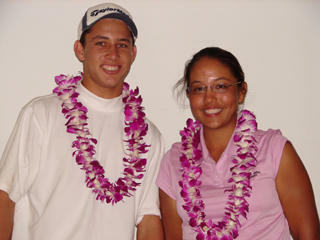 2008 boys and girls individual state high school champions Alex Ching and Kristina Merkle teamed up to play in the DSIF tournament and thanked the participants for their support. 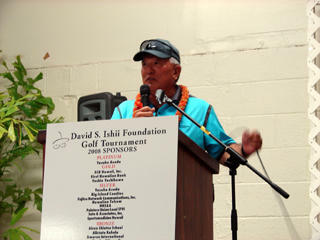 DSIF tournament chair Elton Tanaka thanks sponsors for their generous contributions. 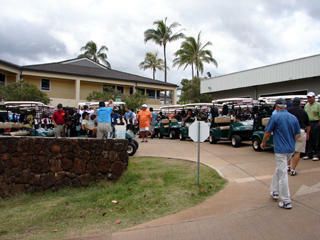 A full field of 192 golfers assembles at Pearl Country Club for the eighth annual DSIF tournament. One of popular traditions established at the awards banquet is a spirited game of jankenpo pitting everyone against David! 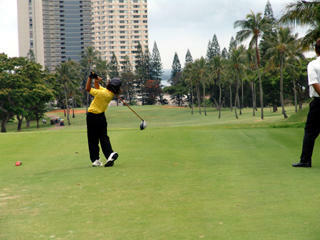 On the first hole, David’s nephew, 8-year-old Trevor Kua, belted out long drives for teams willing to cough up $10 for the privilege. 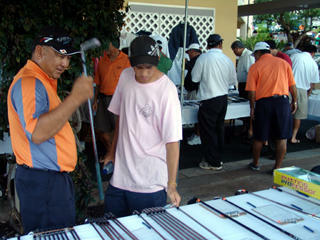 Thanks to generous sponsors, the DSIF is well known for its great prizes. 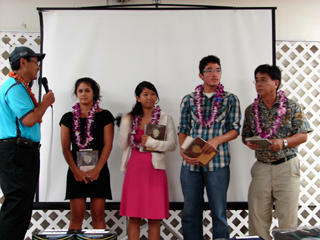 David interviews 2008 scholarship recipients (L-R) Tamara Surtees, Brittany Isobe and Jordan Honold. 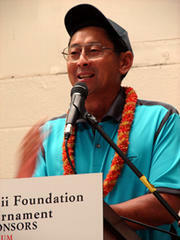 Masakazu Arakaki (far right) accepted on behalf of his son, Marc. 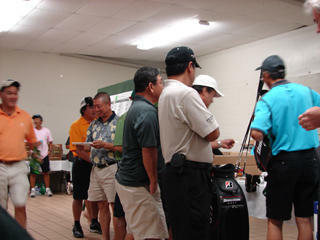 One of the unique features of the DSIF tournament is the Silent Auction, which includes one-of-a-kind clubs, clothing and accessories donated by pro golfers from Japan and the U.S. 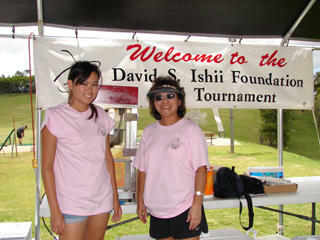 The 10th Annual DSIF Golf Tournament will be held on Thursday, June 10, 2010 at the Pearl Country Club.